Jeren Tropicals, formerly Jeren Foliage Designs, was founded 20 years ago by Jeff Battaglia, with the drive to provide a quality product to a niche market he started with a single client and 12 trees. Today Jeren is one of the largest plant rental companies in South Florida, providing service throughout the state and beyond. Jeren Tropicals has a commitment to customer service that goes unsurpassed. Having been in the industry for 20 years, we've learned that THE most important part the company is knowing the customer and their needs. This committment has helped Jeren to grow since it's inception. The company has expanded in the last decade by acquiring Bright Life Rentals and Action Plant Rentals. 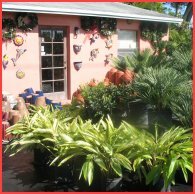 Jeren Tropicals has a three acre nursery facility that is centrally located in the heart of Davie and is convenient for customers in Dade, Broward and Palm Beach counties as well as easy access to major cities on the west coast of Florida. Jeren Tropicals proudly works with the top event planners, caterers, and wedding planners in the region. We have served the NBA, NFL, NHL, PGA, MLB and pro tennis circuits as well as some major films, concert, charitable fund raisers and political events. Jeren Tropicals is the preferred vendor for the The Fort Lauderdale International Boat and Miami Beach Yacht and Brokerage Shows. The reputation we have earned working with intimate private parties to the grandest of galas is something you can count on.